Brian Campbell is from Hazelton, PA and has interesting comments on his defensive role for Lycoming. 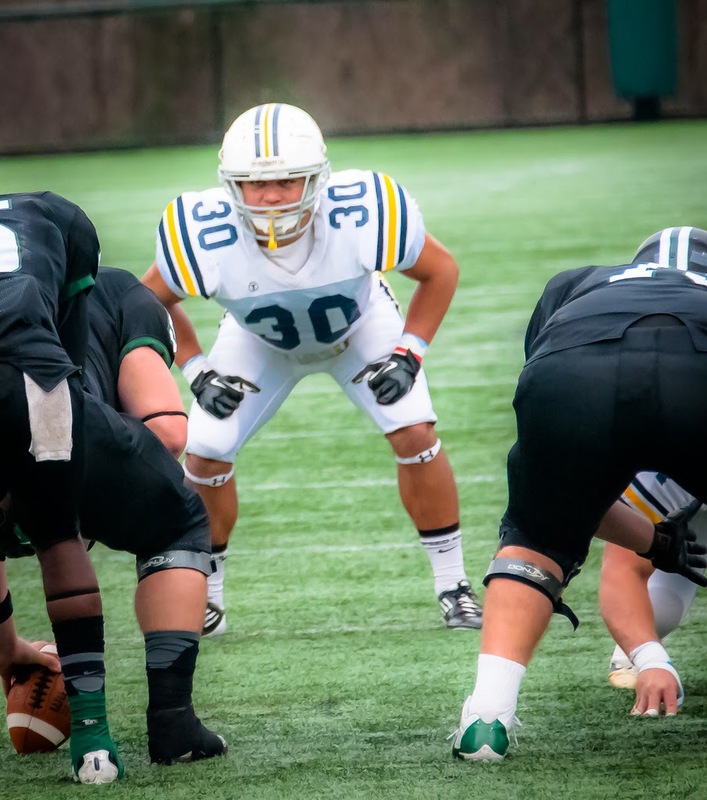 2013: Played in nine games and started one … Recorded 27 tackles, 17 solo … Had four solo tackles against both Brockport and Stevenson … Posted a tackle for a loss against Widener … Forced a fumble against Wilkes … Had one pass breakup. 2012: Played in four games … Carried the ball two times for two yards … Posted two solo tackles. High School: An all-conference and all-area running back. Personal: Son of Brian and Carrolyn Campbell … A political science major.